Sunrise Export adheres to superior quality norms to offer an array of products which are used extensively. We utilize quality raw materials for manufacturing our range of products. 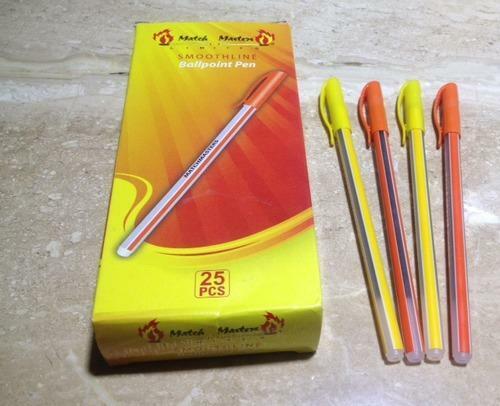 We are engaged in offering wide range of Safety matchbox ( Wooden , Wax & Kitchen Matchbox) , Ballpoint Pens,Ball Pen Refills, Plastic Refills, Metal Refills, Gel Refills, Metal PKR Refills, Safety Match Boxes, Wax Match Box, Match Box, Safety Match Box, Talc Powder, Soap Stone Powder, Kerosene Wick Stoves, Hologram Stickers., & Rolls. Our quality control inspection division and strong infrastructural facilities are the pillars of our strength which help us to provide exceptional products at industry leading prices. Furthermore, our team of quality analysts inspects the raw material at the vendor’s site. To assists our quality control experts we have a number of professionals who carry out other production and distribution work. Moreover, we own advanced machinery for our technicians to work with. The management & staff are enthusiastic and committed to set up and sustain the quality management procedures to meet the requirements of the clients.